Michael Daniel Ho - The Wildlife Ho-tographer: Canon EOS-7D Mk II Camera Finally On Its Way? A few days ago, Nikon announced the 'development' of the D4s camera at CES 2014 to great fanfare and ridicule because the press release gave no details of the camera's specs and it is one of the worst kept secrets anyway. Some Nikon observers tried to explain it away by saying there will be so many D4s prototypes floating around the Winter Olympics games anyway, so Nikon decided to get the 'news' out to cash in on some publicity. 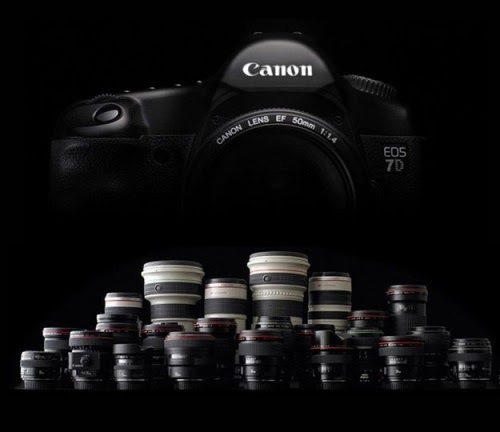 Now Canon may be facing a similar situation with the long anticipated EOS-7D Mk II camera. The current 7D is an excellent camera and my pick four years in a row as the best value in APS-C camera. With the Olympics and the CP+ show both occurring in February, Canon may loathe to see Nikon get all the limelight with 'sightings' of the D4s cameras dominating photography news. Although Canon has not finalized all the specs on the new camera, including the sensor and even whether to call it EOS-7D Mk II, they will have enough prototypes out there during these upcoming games to help them decide on the final production specifications. There is an even chance Canon may choose to give some guidance on the new camera next month as to its eventual release and sale dates. You can read my previous post on the possible specifications to expect in the new model. I am very fond of my EOS-7D camera and cannot wait to get the new model. With the EOS-1D Mk IV no longer in production, a semi-professional APS-C body is very appealing to me. I like the new possible specs on the EOS-7D Mk II camera. It can take advantage of the Dual Pixel CMOS AF technology found in the EOS-70D and comes with a higher burst rate and more AF points. Can't wait. This is my most anticipated camera this year. Hope to get one before I depart for my photo shoots in the Autumn. Keep checking back for the latest info.